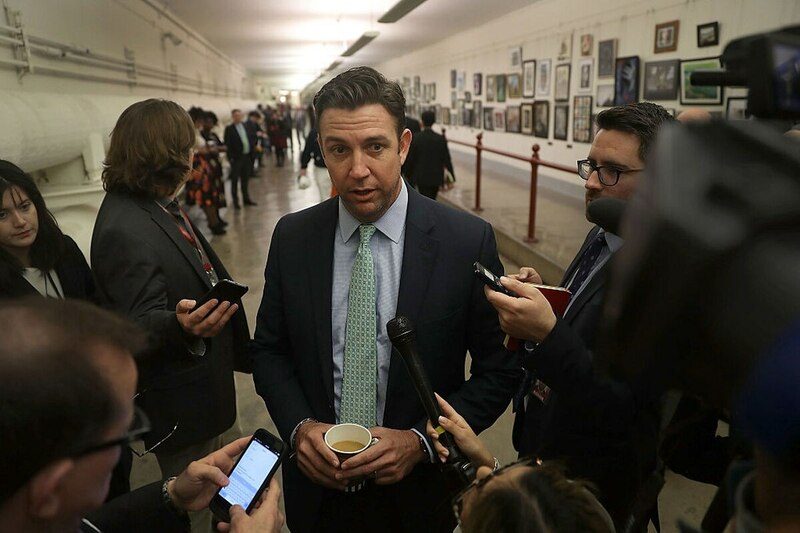 WASHINGTON — The Tuesday indictment of Rep. Duncan Hunter on corruption charges could have an impact on a number of defense-related pet projects for the Republican lawmaker, including the potential sale of military drones to Jordan. The indictment charges that Hunter and his wife, Margaret, who served as a campaign consultant, stole more than $250,000 in campaign funds to pay for overseas vacations, bar tabs, dental work and other personal purchases, despite objections from staff. Hunter, a 41-year-old California Republican, has repeatedly denied the charges, and indicated Wednesday he intends to continue to run for re-election in November. But following his indictment, House Speaker Paul Ryan, R-Wis., announced that Hunter’s committee assignments would be revoked while the criminal case is pending — including his seat on the House Armed Services Committee. And if the indictment eventually forces Hunter from office one way or the other, it could have fallout for a number of the congressman’s areas of focus. Hunter represents part of San Diego County and has been a vocal supporter of the local defense industry. Perhaps most notably, that includes drone maker General Atomics — a company that Hunter is seen to have close ties. In fact, the drone maker is Hunter’s single largest political donor over the course of his career, with the company’s political action committee and its employees donating a total of $100,750 to Hunter’s campaigns since 2007, according to figures maintained by the Center for Responsive Politics. He has been a constant and vocal supporter of allowing the sale of General Atomics-produced unmanned systems to Jordan, routinely writing letters over the past several years to that regard. Jordan is “going to buy their defensive and offensive weapons somewhere, and if they buy from China, that aligns them in some aspect with China," Hunter told Defense News in 2017 about the issue. "Why shouldn't they be more aligned with the U.S. and U.S. foreign policy in the fight against ISIS? They are getting it on, why not help them?" He has also pushed giving the U.S. Coast Guard unmanned systems, with General Atomics equipment among those being floated as options. And indeed, the Coast Guard represents another focus for Hunter, who has been an advocate for plussing-up the services capabilities. That includes a push to increase the number of icebreakers available for use. Another company that has received support from Hunter is SpaceX, particularly during the fight over whether the United Launch Alliance, SpaceX’s competition in the fight over military space launches, could continue to use Russian-made engines to get U.S. assets into space. During that legislative fight, Hunter argued that not forcing an early cut-off date for when ULA has to stop using the RD-180 engines was tantamount to supporting a rival nation.